Is this where all the fancharacters go? I wish I knew. Also, damn Daisy kicked my ***. Haha. 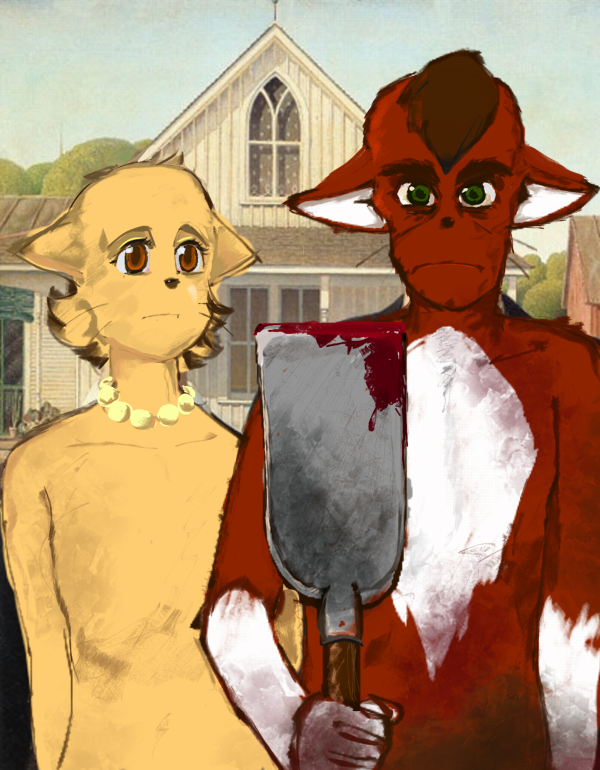 Title is, of course: "Abyssinian Gothic". Comments need an edit function for scatterbrains like me. shouldn't it be a pitchfork? 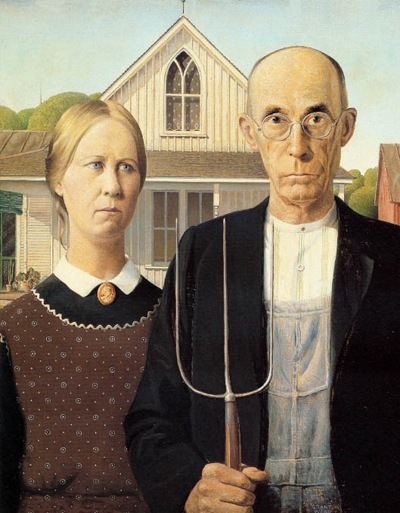 @Migrant: Yes, the original is a pitchfork, but it made too little sense for Abbey, imho. I played with the thought of putting a graveyard as a backdrop, too, for some "did he unearth his mom?" possibilities, but yeah. I just wanted to make a quick joke here, nothing too involved. Abbey looks some what like his father in this. @Mikanda, I agree, even painted the glasses onto his face for kicks, but obviously didn't include it. Looks so similar to his father because I stuck with the original shape and expression as much as I was capable of without having him look too old and ...well just look at the original. It does not a good looking Abbey make, at all, but I still wanted to keep it the stern pressed lip way the original uses. Is that blood on the shovel? Looks like he killed and buried both Paulo and Augustus.